Rick Stein’s renowned Seafood Restaurant has been running since 1975 and is well known for the delicious and imaginative fish and shellfish dishes that feature on the menu. Local fishermen provide the seafood and there is a wonderful seafood bar in the middle of the restaurant where you can watch the chefs create the platters. Dig into Indonesian seafood curry with monkfish, squid and prawns, whole Dover sole char-grilled with sea salt and lime, and seafood dieppoise with stone bass, monkfish, cod, scallops, mussels and langoustines. Located at The Nare Hotel, The Quarterdeck offers wonderful sea views over Gerrans Bay as well as excellent locally sourced food and a relaxed atmosphere.  The menu includes loin of Cornish lamb with shoulder sausage roll and butternut squash pureé, grilled Portloe lobster with garlic and herb butter, and loin of venison with creamed leeks and girolles. The lovely Victoria Inn is in the tranquil, coastal village of Perranuthnoe and has a roaring fire, local ales, ciders and award-winning food created using local produce. Importantly, dogs are welcome in the bar here and will find dog biscuits on offer and a friendly companion in the form of Bailey, the pub’s Labrador. Enjoy mouth-watering dishes such as honey roasted Cornish duck breast with crispy duck confit potato cake, roasted West Country pheasant with cabbage and bacon and chestnut and apricot stuffing, and Cornish hake fillet with local greens and River Exe mussels. Situated on the waterfront, the restaurant of The Old Quay House Hotel offers a view as delightful as its menu. Enjoy your meal while watching life on the estuary, from boats passing by to local wildlife including swans and the occasional dolphin. 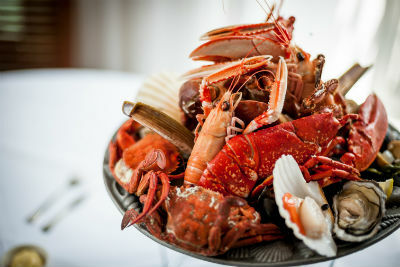 Gems on the menu include guinea fowl with fig ham and girolles, local hake with tomato, chorizo and haricot blanc cassoulet, and a seafood cocktail starter that has lobster, prawn, squid and roast peppers. It is certainly worth adding to your diary when Hotel Tresanton reopens at the beginning of February because its stylish candlelit restaurant is a real treat. Lovely all year round, it should be noted that in the summer months a romantic candlelit supper for two on a secluded private terrace is available. Feast on Trelawny traditional sausages with mash potatoes and onions, Terras farm duck with new potatoes, peas and bacon, and half Cornish lobster with green beans and basil mayonnaise. Full of character, The Ship Inn is a cosy country pub on the Cornish Rivera, next to the beach. Dogs are welcome here and with an old fashioned feel and a roaring fire in the winter, this is a lovely pub to visit and enjoy a hearty meal. Enjoy all the classics including rack of pork bbq ribs with chips, a giant Yorkshire pudding filled with mash potato and Cornish sausages, Cornish ham with eggs and chips, or tackle the Ship’s mega burger complete with bacon, cheese and onion rings. This St Ives institution is located on Porthminster Point with beautiful views of St Ives Bay and award-winning food created using produce from the restaurant’s garden plot. The elegant modern dining room is very busy in winter and summer alike so make sure you book ahead. Enjoy fantastic dishes such as prime aged Cornish fillet steak with creamy mash potato and wattle seed and shiraz sauce, but the fish and seafood are the stars here: daily specials change but plates like the pan roasted whole lemon sole with white crab and cucumber and vanilla salsa, and battered haddock with triple cooked chips, mushy peas and lemon are some of the best fish you’ll eat in this most fish-loving of counties. . Yet another restaurant in Cornwall that offers a fantastic coastal view, The Driftwood Hotel restaurant also happens to have a Michelin-star. 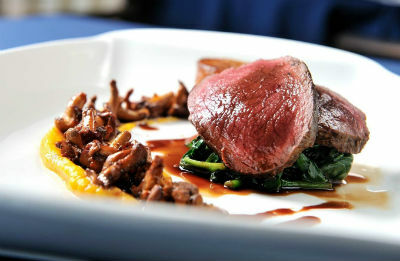 The mouthwatering menu offers delights such as crisp shoulder, glazex neck and rump of spring lamb, sirloin of Shetland beef and featherblade, with potato crisp and smoked shallot, and roast bass with Coppa ham and parsley root. 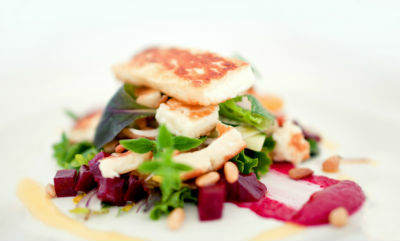 Jamie Oliver’s Fifteen Cornwall offers Italian-inspired dishes, a beautiful view and a bright, welcoming atmosphere. The food is delicious and made even better when you know that your visit will have helped to fund the Cornwall Food Foundation’s Apprentice Programme, a project that provides young, unemployed people in Cornwall with kitchen skills and experience to aid them in their search for work. Enjoy wood fired monkfish with borlotti beans, Primrose Herd pork chop with lentils and salsa verde, and Longhorn dry aged fillet with watercress and horseradish. Full of character, The Ship Inn is a cosy country pub in the Cornish Rivera, nestled next to the beach. Dogs are welcome here and with an old fashioned feel and a roaring fire in the winter, this is a lovely pub to visit and enjoy a hearty meal. Enjoy all the classics including rack of pork bbq ribs with chips, a giant Yorkshire pudding filled with mash potato and Cornish sausages, Cornish ham with eggs and chips, or tackle the Ship’s mega burger complete with bacon, cheese and onion rings. 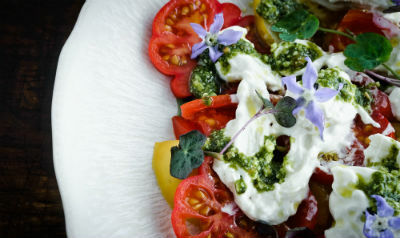 This lovely restaurant in St Ives is a favourite, nestled in Porthminster Point with beautiful views of St Ives Bay and award-winning food that is created using produce from the restaurant’s garden plot. Enjoy fantastic dishes such as prime aged Cornish fillet steak with creamy mash potato and wattle seed and shiraz sauce, pan roasted whole lemon sole with white crab and cucumber and vanilla salsa, and battered haddock with triple cooked chips, mushy peas and lemon. What must be one of the highlights of dining at The Wheel House is that the staff can point to the exact boat that caught the fish you will be eating. Enjoy the relaxed, friendly atmosphere and tuck into dishes such as deep fried cod fillet in crispy real ale batter, pan fried chicken fillet with a white wine and mushroom sauce, and seabass and seared St Austell bay scallops on roasted butternut squash.